Realize that the only way to determine if a living person includes you in his will is to ask. A "last will and testament" is only definitively "last" after the person's demise; he amends or supersedes it as he pleases during his lifetime. It remains a private document, fully revocable, even if filed with the court for safekeeping, a procedure permitted in some jurisdictions. However, the will is only as secret and confidential as the testator wishes it to be. He shows it to those he pleases. Asking doesn't cost you anything, although it may not endear you to the testator. Contact the executor to determine whether you are an heir under a will in probate. Most testaments name an executor to administer the will and steer it through the probate process after the death of the testator. If the testator failed to name an executor, the court appoints one. The executor petitions for probate, collects assets, pays debts and distributes the property according to the will dictates. In performing this role, the executor contacts every named heir. You may find out faster whether you inherited under the will by a telephone call to the executor. Visit the probate court to obtain the name and address of the executor if you don't have it or, alternatively, to review the will for yourself. Most court documents, including probate files, are open to public review. Try first the superior court in the county in which the testator lived. 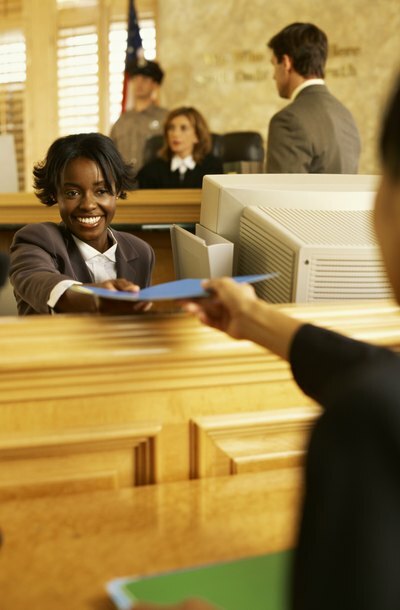 Give the court clerk the name and date of death of the deceased and ask for the probate file. Review the file and locate the will, among the first documents submitted. Note the executor information and check for yourself the list of heirs. If your name appears, contact the executor. The only time you can locate a last will and testament -- legally -- is after the testator is dead. During a person's lifetime, her will is private and attempts to view or abscond with it are considered criminal. A will is the written description of the testator 's intentions for her property after her death. It includes devises and names an executor to administer the will. When the testator dies, the executor files the will in probate court; that is where you -- and any other member of the public -- can locate it.